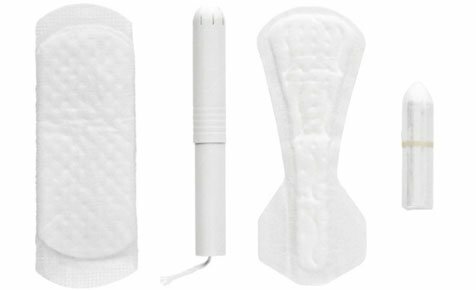 What’s really gross about tampons is not what you think! And that’s what you’re probably thinking as well. The shocking truth is we have no idea what tampon manufacturers are putting in their products and they’re not required by law to disclose their ingredient lists because in fact they’re protected by patent laws. So what protects us? My answer is informed choice. That’s why I’ve done a whole lot of research about the impact of tampons (and commercial pads) on your fertile health that I want to share with you. “My sister’s OBGYN had told her that if she wanted to get pregnant, she needed to wear pads during her period instead of tampons. I know. Just the thought makes me cringe. Now I believe many factors can contribute to infertility and that tampons aren’t the only culprit. But there are a lot of cons to using tampons, especially if you’re experiencing recurrent yeast or bladder infections, if you suffer from endometriosis or painful periods, or you’re trying to conceive. There are many reasons why tampons can be part of the cause – from toxic chemicals and fibres absorbed through the vaginal walls, to vaginal moisture depletion (imagine putting a tampon in your mouth – holy dry mouth! ), to incomplete shedding of the uterine lining. When I started teaching Moon Goddess I got curious about alternative menstrual care products. Lunapads, which are cloth menstrual pads, were the first product I tried. At first I was nervous because I had heavy periods and I was scared the pads would leak. Surprisingly, what I noticed right away was my periods got lighter and shorter and I had less cramping. I couldn’t believe it. Even the “odor” I associated with period blood disappeared. It made me question, what the heck is in drugstore tampons and pads that so many of my ‘period symptoms’ were suddenly gone? Then I got a little braver, and I decided to give the Diva Cup a try. It took me a few attempts before I mastered the ‘in’s and out’s’ of the Diva Cup but once I figured it out, it became like second nature and I felt good about myself for not adding any more garbage to the environment. 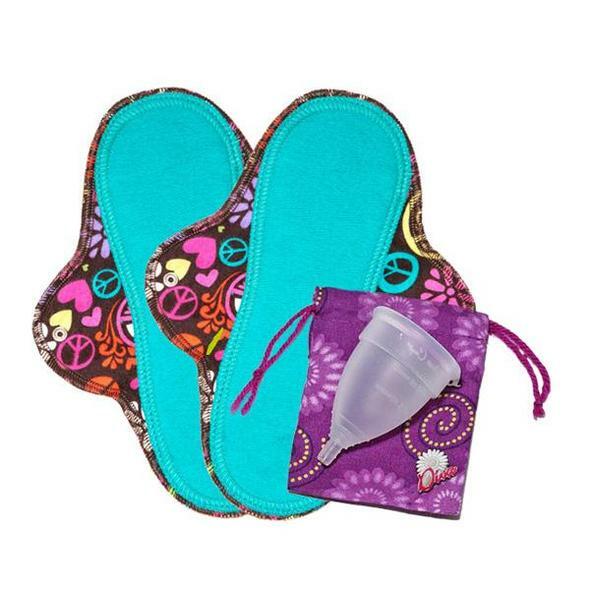 Now that I’m a confident menstrual cup user, backed up by my Lunapads pantyliners, I would never go back.